Dubai: All eyes will be on Australian Open champion and new world No. 1 Naomi Osaka when the Dubai Duty Free Tennis Championships gets underway in just three weeks, from February 17. When she competed in Dubai last year, Osaka was ranked a modest 48. However, immediately after losing in the quarter-finals, she took her first steps to superstardom by winning the Indian Wells title. A few months later she stunned the tennis world and her opponent in the final, Serena Williams, by winning the US Open. She has continued her fantastic run this season, outlasting two-time Wimbledon champion Petra Kvitova in a thrilling three-set finale to win the Australian Open. Not only did her victory elevate her to the very top of the rankings, she became the first player to follow her maiden Grand Slam title with victory at the following major since Jennifer Capriati won the Australian and French Opens in 2001. “There is nothing more exciting than seeing a wonderful new talent emerge, and the progress that Naomi Osaka has made in the last year has been remarkable,” said Colm McLoughlin, Executive Vice Chairman and CEO of Dubai Duty Free. 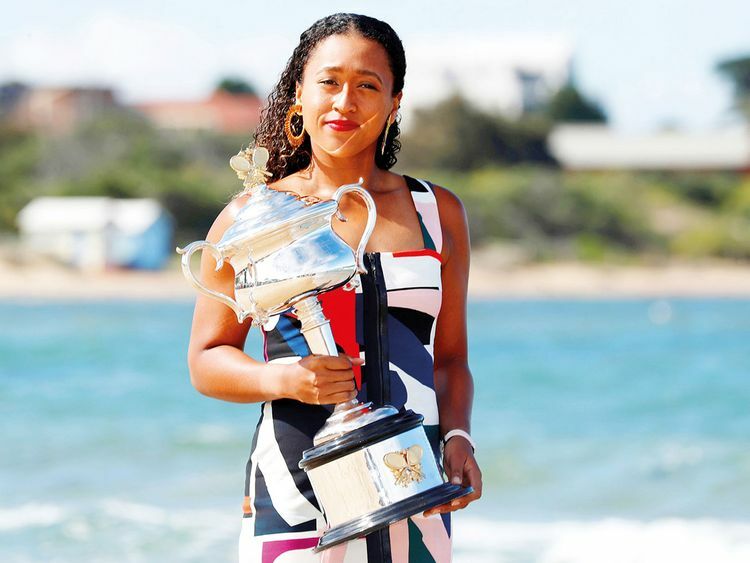 Osaka demonstrated maturity and resilience as she recovered from the disappointment of failing to win match points for a straight sets victory in the Australian Open final, fighting back in the third to overcome her far more experienced opponent. And when it was finally over, it was hard for her to realise that her work was done and she could finally relax. The first player from Asia, man or woman, to reach No. 1 will shortly be setting her focus on winning another trophy. And what she accomplished in Australia suggests she will be able to add her name to the long list of great players who have claimed the Dubai Futy Free title. “Naomi Osaka has proved beyond doubt that she belongs among the greats of the game, and there is every chance that she will be able to join such stars as Venus Williams, Caroline Wozniacki, Amelie Mauresmo, Lindsay Davenport and so many others as a Dubai champion,” said tournament director Salah Tahlak. Tickets are available online at www.dubaidutyfreetennischampionships.com. For further information about the tournament, please visit www.dubaidutyfreetennischampionships.com.